Podcasts continue to grow, and they’re a great way to brand your staff members. But how do you start one up? What equipment do you need? What ideas seem to work best? And how do you market them? Kathy Hanks and Amy Bickel of the Hutchinson (Kansas) News talk about their podcast, Agland, which won an EPPY Award (Editor & Publisher) as one of the industry’s best podcasts. 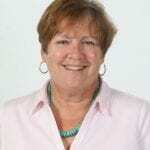 Kathy Hanks has been a multimedia journalist at Kansas’ Hutchinson News for the past 13 years, and a freelance writer for Sunflower Publication since 2010. She interviews people everywhere she goes – from the pilot to Timbuktu or the person taking her order at Taco Bell. She says everyone has a story to tell, and she wants to hear yours. She is the co-host of the Editor and Publisher Award winning, podcast for Best Webcast with fewer than 1 million monthly visitors, Agland. 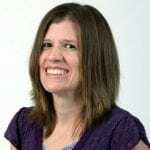 Amy Bickel has been covering Kansas agriculture for over 15 years. She has been the Agricultural Editor and Journalist at the Hutchinson News since 2002. She has also been a freelance writer for the past 7 years. Recently, she’s been chronicling Kansas’ dead towns. She has a passion for telling stories centered on Kansas agriculture, rural life, and history. She is the co-host of the Editor and Publisher Award winning, podcast for Best Webcast with fewer than 1 million monthly visitors, Agland.